Saving at the store isn’t too hard. It just takes a little time and effort to save big. Knowing what is a deal and what isn’t is most of the battle. I know for years I just bought what I needed for dinner, whether it was on sale or not. 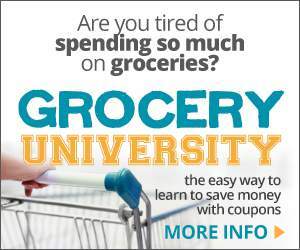 Lucky for me I shopped the discount grocery stores and Winco Foods, so I did fairly well at keeping our food budget low. But I never really stocked up when I saw a good price because I really didn’t know one when I saw it. For years I shopped like this. 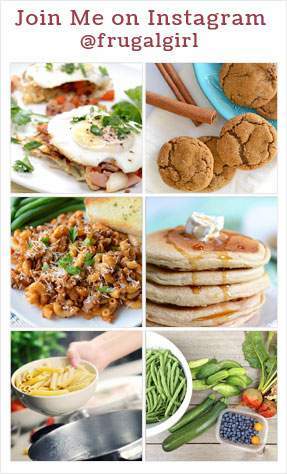 With shopping the discount stores and planning cheap and easy meals, our grocery budget was fairly low. But as prices climbed so did our grocery bill. I was finding I could get less and less for the same amount I used to spend. That is when I discovered how to make a price book. I was reading The Complete Tightwad Gazette, (affiliate link) if you don’t own it, you really should. This is where I got my start on living frugally, oh so many years ago. I read about keeping a price book to know when an item is a good deal and to purchase extra when the price is low. It took me a while to get a price book set up, but it was so worth it. I’ve now had some form of price book for years. But if you don’t want to set up a price book, I’ve got a solution for you. You can use my rock bottom price list to help you know when there is a good deal or just one you can wait on. Depending on where you live, your prices could be less or more on certain items. But at least with this list you will have a starting point. 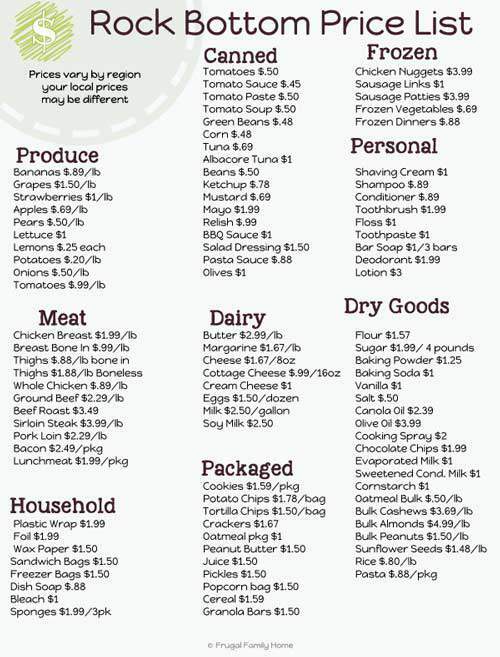 The prices on this list are the rock bottom prices I can find here, in the rainy part of Oregon. All of the prices on my list are without coupons. When I say without coupons, I mean manufacture coupons. To get the prices on the list I might need to use my Safeway card or clip the coupons out of the Fred Meyer ad or Albertsons ad. I can get even better prices if I use manufacture coupons on top of these sales, but I know not everyone wants to do that. 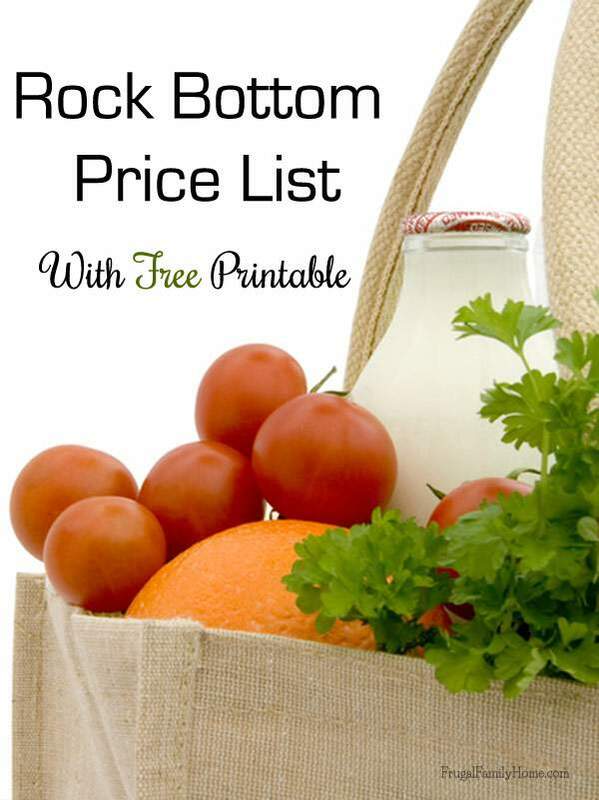 Click on the image below to download the free Rock Bottom Price list, so you will know a good deal when you see it. Then when that good deal comes along stock up and save. Once you have a good stockpile you shouldn’t have to pay full price again, or at least very rarely. Do you track prices so you know a good deal when it comes along? Yes, I do keep a price book. For the longest time, it was in my head (and it still is) but I finally wrote out a copy based on my Indiana prices here – http://www.joyfullythriving.com/2013/11/free-printable-stock-up-price-list/. It is SO helpful to have it in writing! I agree it is helpful to have it written out. For a long time I just had memorized prices. I just keep prices in my head as I go along, which, I admit, isn’t probably the best system. It helps to know when to expect certain items to go on sale so that you can get the best prices. Tracking prices of your most used items in your head is a great way to go, Erin. I track our most used items in my head, like flour, sugar, soy milk, eggs, lunchmeat and peanut butter. But I when I started tracking more items, I decided to start a book.